Caption slip reads: "Photographer: Mitchell. Date: 1958-06-04. Reporter: Benson. Assignment: Under Sheriff is now elected Sheriff. 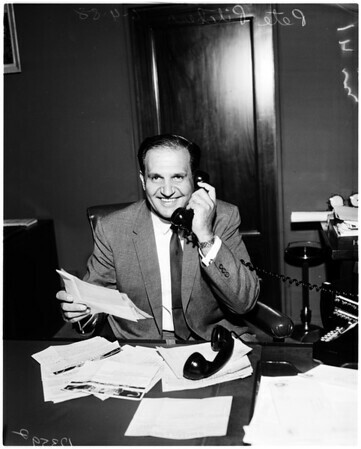 40/41: Pete Pitchess, Elected to Sheriff with wires and telephone calls congratulating him".